The film knits together three tales, all set in a sumptuous, sun-drenched 16th-century Spain. But while traditional fairy tales tend to explore the challenges of adolescence, this trilogy mostly focuses on grown ups who should know better than to wish for things they really shouldn't have – with the high price for their desires often paid by others around them. The first story is the weakest, and fits the pattern least. 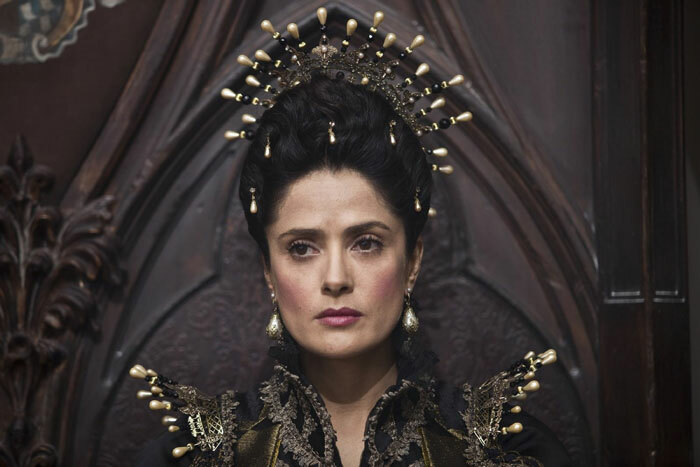 Salma Hayek's queen longs for a child (hardly an unreasonable wish) and is prepared to go to any lengths to get one. Her tale is the most tedious and features the least convincing performances, but it does include a marvellous sea monster that looks as if it's swum straight from a 15th-century mappa mundi, so kudos for that. The second is a cautionary tale that warns of the dangers of unbridled lust and the desperate quest for youth and beauty. It stars Vincent Cassel as a lecherous king, Stacy Martin as his enchanted bride and the ever-wonderful Shirley Henderson as the aged sister the bride has left behind, and who yearns to be young again not for romance or vanity but because she is lonely. Hers is the most human story, and Henderson's delicate, bewildered performance wrings every ounce of pathos from the situation. 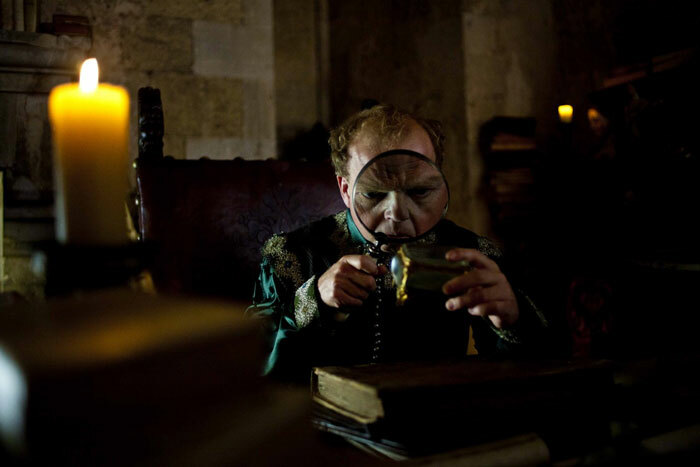 In the third tale, Toby Jones's king wishes his daughter could stay with him forever. (He also wishes for a giant flea as a pet, but that's almost by the by, even if the scenes with 'Scoochy' are some of the most enjoyable in the film.) He therefore sets a fiendish riddle to be solved by any potential suitor – only to end up handing over his precious child to an uncouth, grunting ogre (Guillaume Delaunay) who manages to guess correctly. Oops. Swathed in luscious silks and velvet and dripping with jewels and blood, Tale of Tales is a vivid visual and visceral feast. Yes, it's all pretty silly and shallow, with only Henderson and Jones presenting fully rounded characters we can empathise with; the rest of the action weaves itself around them into a gorgeous, gory tapestry that satisfies the senses but not the soul. Definitely a triumph of style over substance – but a triumph none the less.